Sharing music is a must-have feature for most streaming music services. Spotify had took it further to add the collaboration feature in 2008. This is much earlier than Apple Music collaborative playlist. After years of evolvement, nowadays it has become pretty powerful that it can even display when and who added the songs. If you are going to have a family road trip or DJ party with your friends, teaming up with your friends and family members to create a collaborative Spotify playlist will be the best way. It will not only ease your pain but also make everyone happy with their own songs. The collaborative playlist feature is available on Spotify desktop client or mobile apps. What about the web player? Unfortunately it is impossible to build a playlist from the web player yet. You can create your own collaborative playlists either from computer, Android or iOS devices. For computers, you can sign in with a Spotify free account or premium account. For mobile phones, you have to login with a premium account. Step 1. Locate an existing playlist which you want to share with your friends or start with a new playlist on your Mac or Windows.. Step 2. Right click on the playlist and then select "Collaborative Playlist" from the pop up context menu. You	will	see	an icon added in front of it. Step 3. Right click on the Spotify collaborative playlist you have just made and and choose "Share" to share it with your friends via Facebook, Twitter, Skype and so on. Step 4. Anyone who get the link will be able to edit, delete and rearrange the songs from the playlist. Step 1. 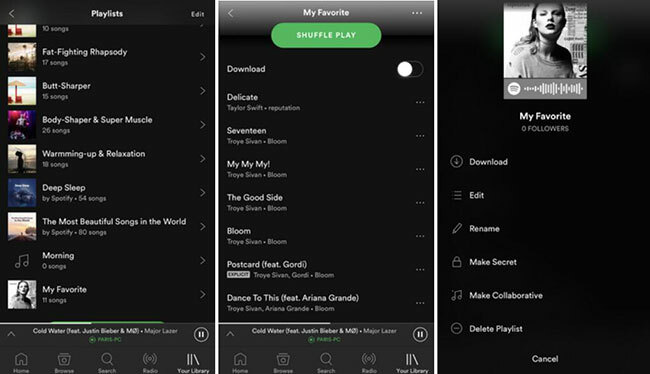 Launch Spotify on your iPhone/iPad/iPod and login with the Spotify premium account. Step 2. Go to "Your Library" to select a playlist which you want to make public. Step 3. Tap the three-dot icon on the top right corner of the playlist and choose "Make Collaborative". Step 4. Now you can tap the three-dot icon again and choose "Share" to invite new users to add songs. After sharing the playlist, your friends will get a message with a link of that playlist. They can follow it to make changes. 1. Click the link, the playlist will be displayed. 2. Click "Follow" menu to follow the playlist. 3. Now they can add their own songs, change the existed songs or remove the ones they don't like. 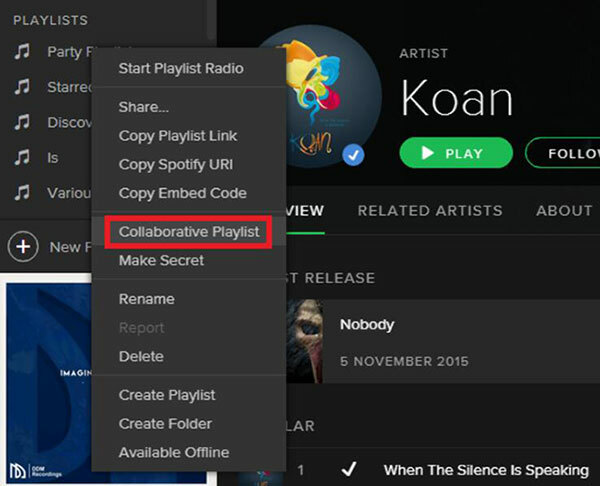 As of the time of writing, there is no official way to search Spotify for "collaborative playlist". Even for the playlist you know for sure, it won't show up in the search result. So not anyone can joint edit the playlist unless the owner want to share the link in public. Personally I did find some top collaborative playlists shared on the Spotify community, Reddit and Genius community and so son. If you like, you can give it a try by yourself. It is up to you to choose the trusted persons to share the playlist with. But after sharing the link of the playlist, you can't restrict who get access to the playlist. Some pranksters may delete all the songs or make any changes you don't want. To protect your own playlist safety, you can make a copy of your shared playlist, right-click on it and unselect "Collaborative Playlist". "I tried to generate an ultimate playlist with my friends on my mobile phone, but the collaborative option is not available. Why?" If you get the same issue, this is most likely that you haven't subscribe to the Spotify Preview. This subscription costs $9.99. It is about $120 for 1 year which is not a small amount of money. 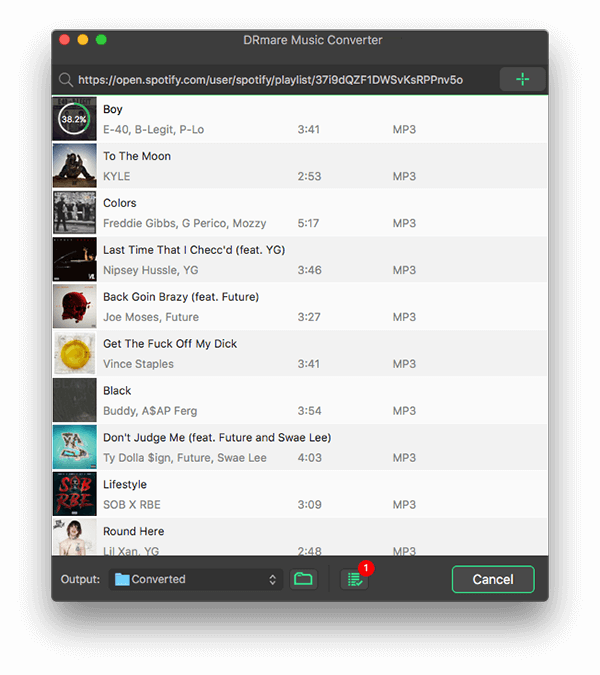 To enable you to share Spotify songs with your friendly freely as well as save money, you can try this solution to download Spotify playlist offline by DRmare Spotify Song Recorder for Mac/Windows. 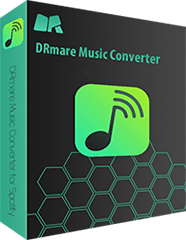 With DRmare software, you can convert Spotify songs with highest speed like never before. It takes only three steps to add the tracks, select output format and click "Convert" button. 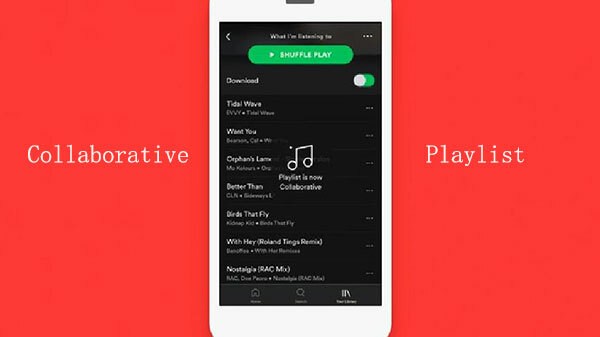 For more tips, you can visit: How to Convert Spotify Playlists to MP3. After that, you will get the common audio files, you can share them with your friends by Email, Facebook, Chat or any other ways you can think of. That is great, isn't it? Let's know the best way you'd recommend to share songs below.